ONE OF A KIND Dan Hicks was ‘criminally underheard’ in his time. 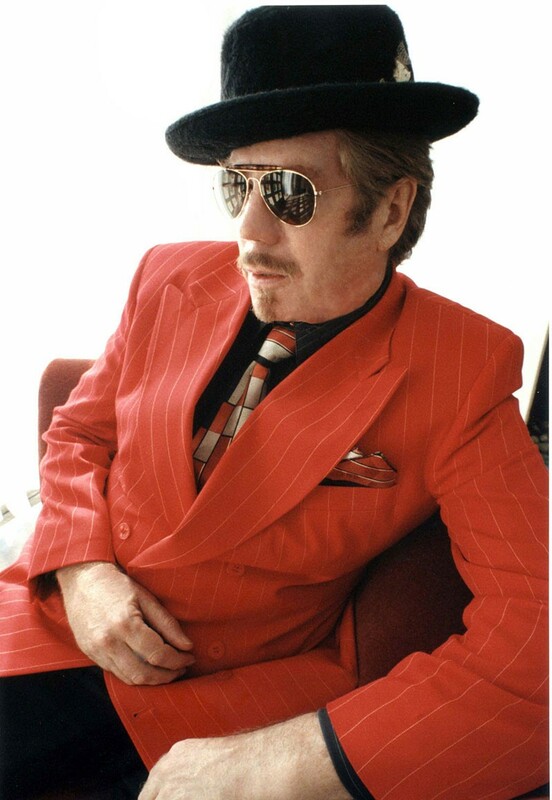 A Bay Area institution for more than 50 years, Dan Hicks was a songwriter of rare caliber. The frontman of the ever-impressive Dan Hick & the Hot Licks was beloved for his catchy, swinging Americana music and renowned for his bawdy, brawling personality. In a career of highs and lows, Hicks did it his way, up until his death last February at 74 in his Mill Valley home. Now longtime admirer and Surfdog Records owner Dave Kaplan is releasing a new compilation of Hicks' best work, titled Greatest Licks: I Feel Like Singin' and featuring 11 tracks from his extensive catalogue. The album includes classic songs like 1969's "I Scare Myself," recent tunes like 2009's "Tangled Tales" and live versions of songs that showcase Hicks' funny and freewheeling personality. Kaplan first saw Hicks perform on The Tonight Show in the early '70s. "Even though it wasn't traditional hard rock, it was as badass and edgy as anything I'd ever seen," Kaplan says. The next day, he bought Hicks' 1971 album Where's the Money?, which he still loves today. "In 44 years, it's never failed me." Kaplan formed Surfdog Records in 1992, and enjoyed success after signing bands like Sublime. In 2000, he tracked down the reclusive Hicks and signed him to the label, thus restarting Dan Hicks & the Hot Licks after a lengthy hiatus and leading to a prolific period of songwriting for the veteran musician. Despite acclaim from admirers like Elvis Costello and Tom Waits, Kaplan says that Hicks was criminally underheard in his time, and Kaplan was inspired to assemble a compilation to celebrate Hicks' life and musical legacy. "This was a labor of love," says album co-producer and Hicks' longtime engineer Dave Darling, who personally combed through archives for the better part of 2016 to find recordings that perfectly reflected Hicks' breadth of wit and talent. "I listened to everything, and it was hard to pick out what would go on the record, just because there was so much great material," Darling says. With Americana music more popular than ever, Darling also says it's a great time for people to rediscover Hicks' pioneering work in the genre, defined by blending folk, swing, rock and jazz elements into a signature sound. "He really was a treasure of an artist," Kaplan says. "There are not many like him in terms of the pure authenticity of what he did. I really hope more than anything that more people just hear his music." Dan Hicks & the Hot Licks' 'Greatest Licks: I Feel Like Singin'' is out on vinyl, CD and digital download on Friday, Feb. 24. For more info, visit surfdog.com.